Hello and welcome back! If you have been around you may have realized I’m daydreaming about spring…a lot. I did an outdoor curtain roundup recently for our front porch, and I’m dreaming of a modern courtyard redo for the front of the house. I’m planning on participating in my third One Room Challenge this spring, and this time around I’m redoing the courtyard. So now it the time I get to sit around and dream and plan and pick out all the fun projects I’m going to do in this space. I love this part of the process! This post may contain affiliate links for your convenience. Please see my full disclosure policy HERE. Please go to orginial source to pin individual photos that are not mine. Thanks! Now, I’m not much of an outdoor decorator. I’m no good with plants and I just can’t seem to picture what I should do. 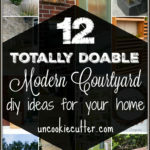 Because of those reasons, I need some inspiration so I searched around for some of the best modern courtyard DIY projects I could find. 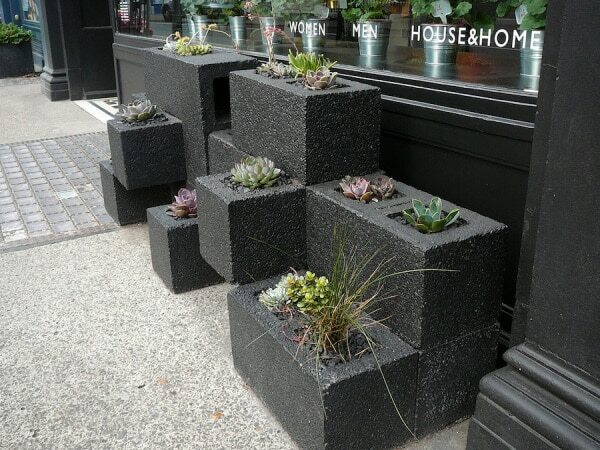 These planters are perfect and would look amazing on the side wall. I know it would look good because that is almost the exact same siding I have on that wall. 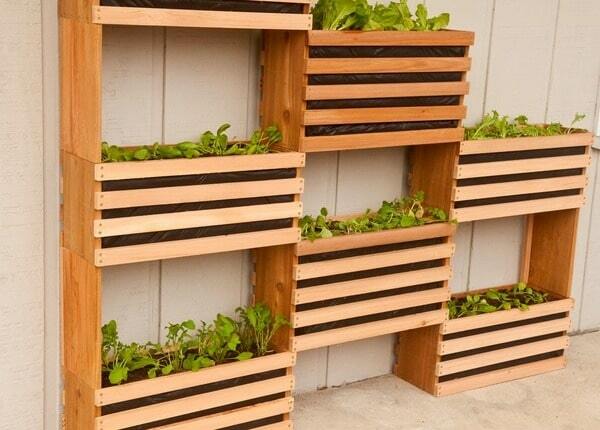 Get the details on how to build these from Made Made DIY HERE. They look pretty easy. You may know that I also love concrete, and these DIY concrete garden globes have my heart all a flutter. 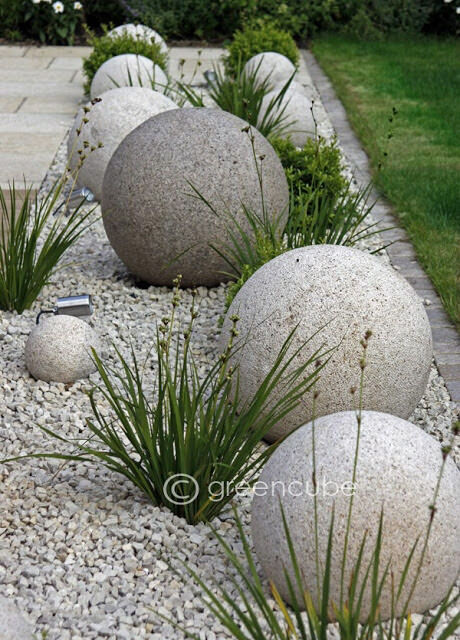 What a perfect weatherproof decoration for a modern courtyard. Get the tutorial from The Garden Glove HERE. 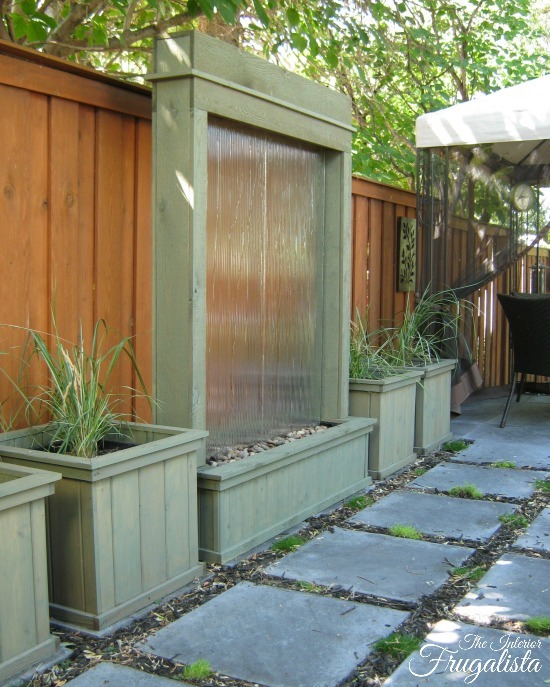 I remember when Jen Woodhouse from House of Wood built these planters and I’ve had them on my “to-do” list since. I think they are perfect. Get the tutorial on how to build these bad boys for around $10 HERE! This easy (and cheap) DIY bench from Amy and Steve over at DIY Candy is amazing and looks totally doable. Inspired by a crazy expensive high-end piece, this bench in the perfect mix of modern and functional. Get the details HERE. 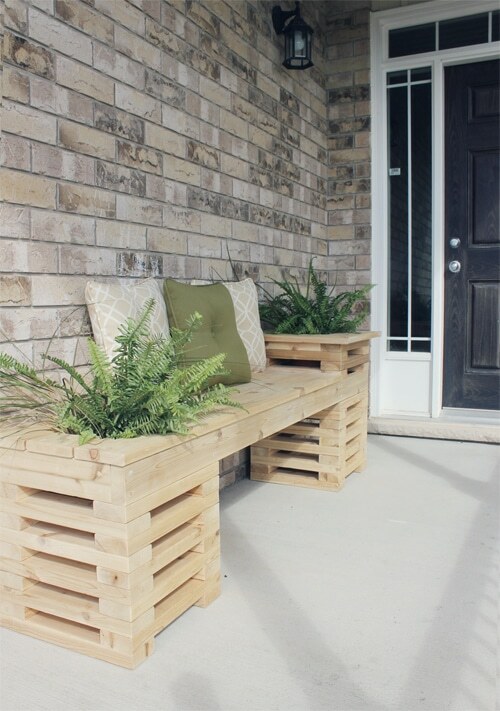 Also, why you are there checking out how to build that bench, you can hop over and learn how to make those awesome concrete planters. Did I mention I love concrete??? 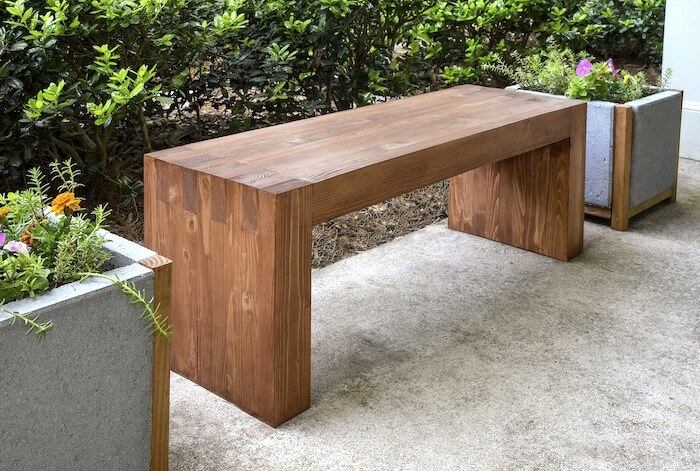 I love this bench from My Daily Randomness, and it also looks like a pretty easy build. Get the details HERE. These aren’t necessarily a DIY, but they totally could be. I love this idea! Get the details over at Saf Affect HERE. If I decide to make these, I’ll be sure to update to let you know how I did it! Another fun project from Made Made DIY that I love is this fire pit. I love the sleek, modern look. 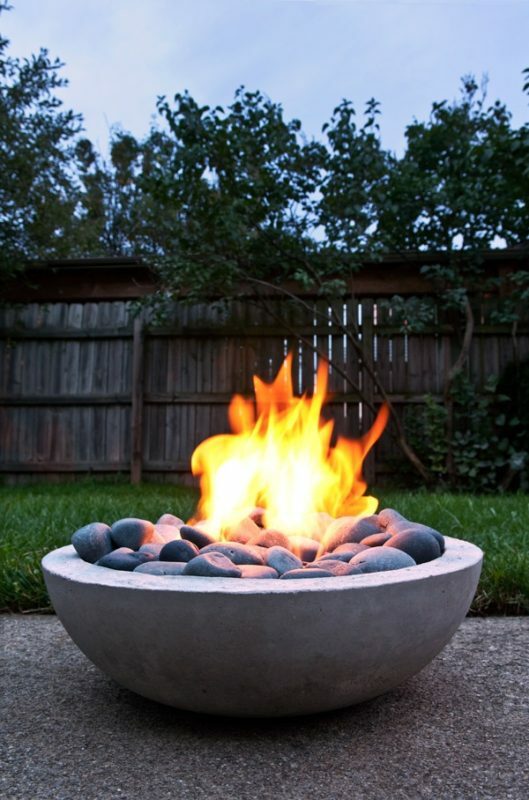 It’s hard to find a modern looking DIY firepit, but this one fits the bill. Get the details HERE. Now this, this THIS water wall from Interior Frugalista is downright AMAZING!! I can’t believe how cool this is. Get the full build tutorial HERE. 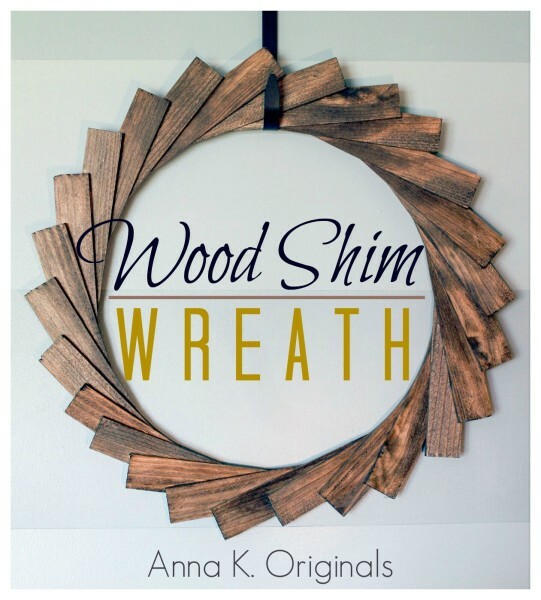 I’m going to need some cool front door ideas, and I love this modern wood shim wreath from Anna K. Originals. Get the tutorial HERE. 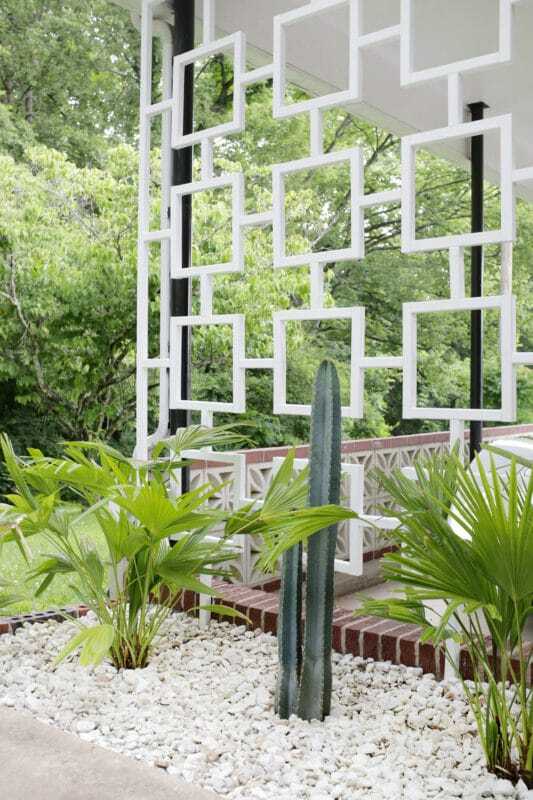 The girls over at A Beautiful Mess show us how to make this beautiful Mid-Century Trellis. I can think of at least 3 places in my modern courtyard makeover that this would work. Head over to see the how-to HERE. 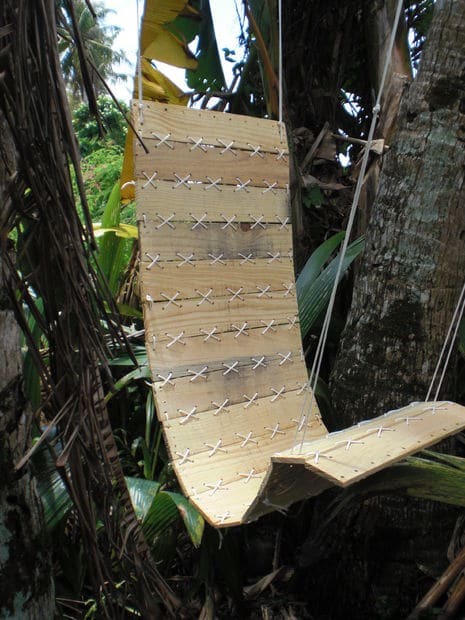 I saw this chair via Instructables and keep thinking how nice it would be to have some hanging chairs out there to lounge in. Get the details on how to make this fun chair from a pallet HERE. 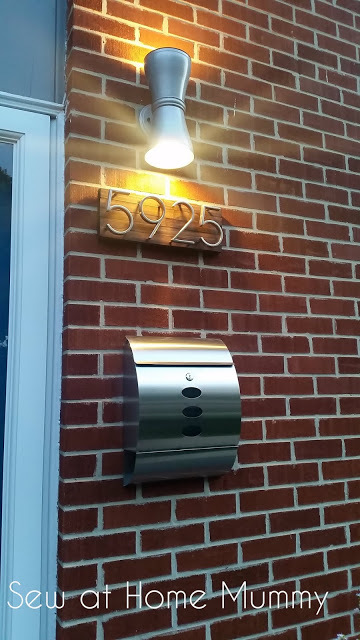 And lastly, I think I’m going to need a modern looking address marker out here. I love this one from Sew at Home Mummy – find out how she did it HERE. 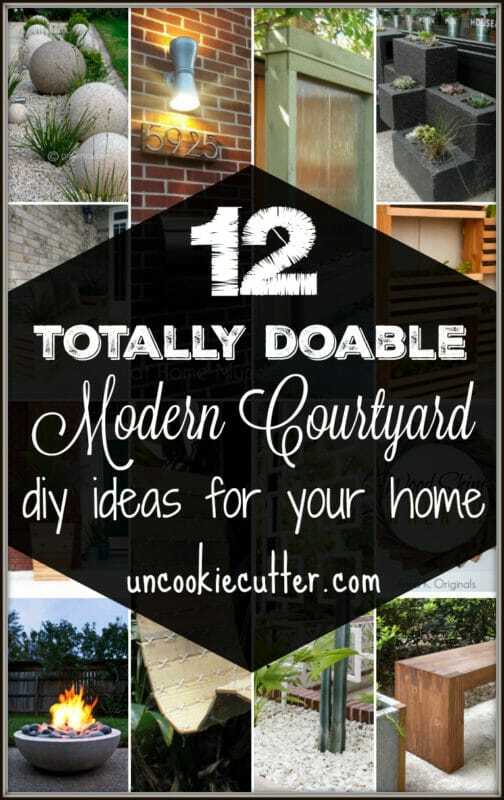 So, there you go – 12 totally doable modern courtyard DIY projects. I can’t wait to finish up the projects I’m on now so that I can get started out there! Thanks for stopping by. 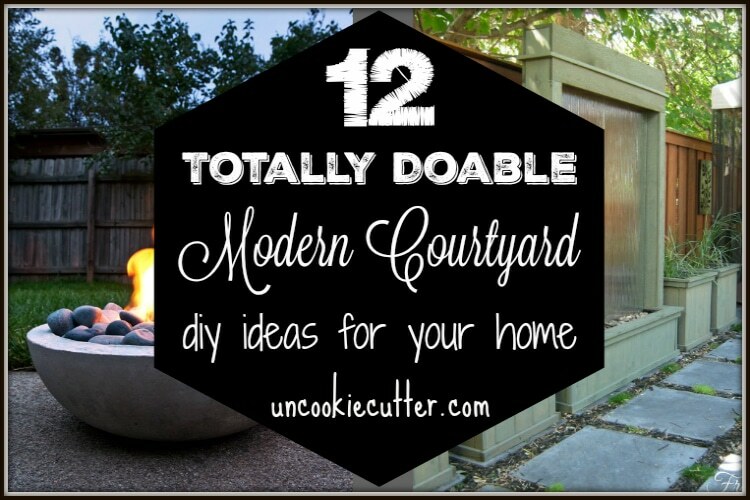 If you have any modern courtyard or garden DIYs you’d like to share, I’d love to see them! « File Cabinet Makeover for the Yankees fan! Thank you Jen! 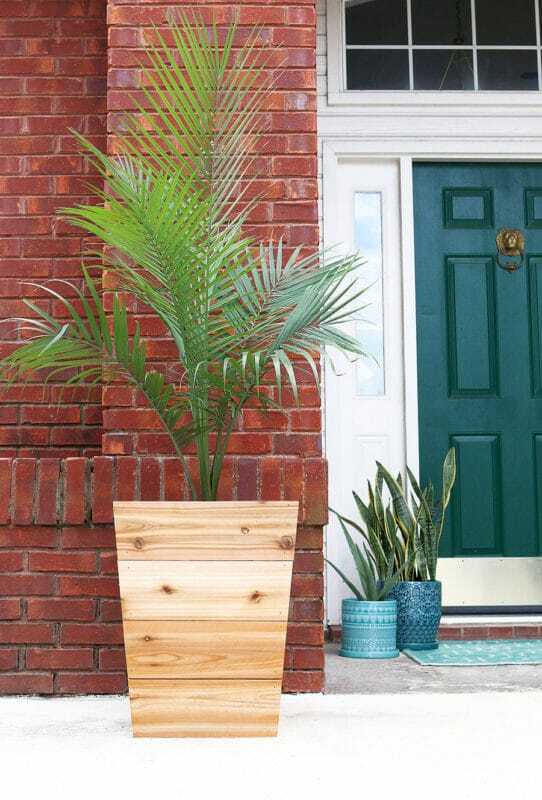 Can’t wait to make those awesome planters! I love just about every single one of them! Can’t wait for spring and now much more motivated!! Thanks!! This is making me want to take a bulldozer to our backyard! So many cool ideas! Me too Emily! I can’t wait to get done with the projects I’ve started so I can get OUTSIDE and work!! It’s amizing. And I loved it all through it.